Create your own app for iPhone, iPod and iPad with just a few clicks. 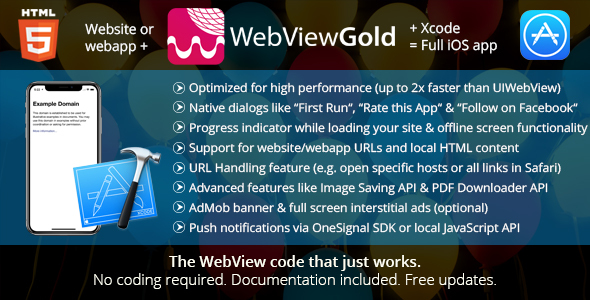 Use your mobile site as basis and this Xcode package wraps your URL (or local HTML) into a real, native iOS app! No more coding, no more plugins needed. It just works.